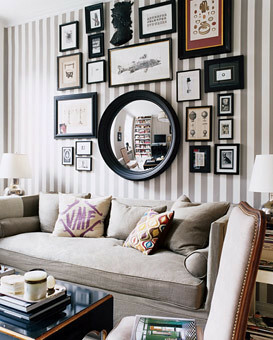 I am loving this idea of a mirror surrounded by artwork or photographs. My mom and I are using a version of this in a client's family room. I can't wait to see how it turns out. Lovely. I really like the second simplified version. I am excited to see your take on it! 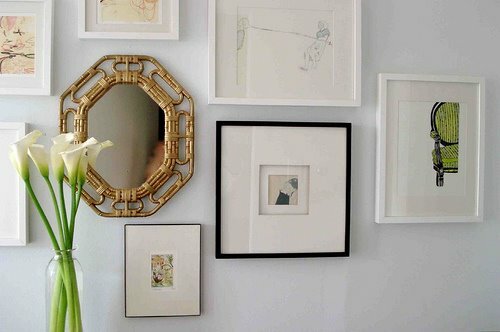 Love love both of those mirrors.